It is difficult to turn on the television, read the news, or visit social media without the tragedies of the day smacking us in the face. Although crime statistics are the lowest it has been in generations, there are some crimes that have seen a rise. Those are the crimes that are given the headlines and the most airtime on the news. Unfortunately, the news extends beyond the mainstream but extends to Main Street. Numismatics has not been a stranger to the criminal element. If it is not embezzlers using coins to defraud people and governments, there are the counterfeits primarily coming from China. Now there are two new scams that the industry has to watch. Counterfeiting currency is definitely not a new issue. Counterfeiting the currency that is supposed to be the most secure is something that is now hitting the mainstream, especially in countries that have adopted the use of polymer notes, is important news. 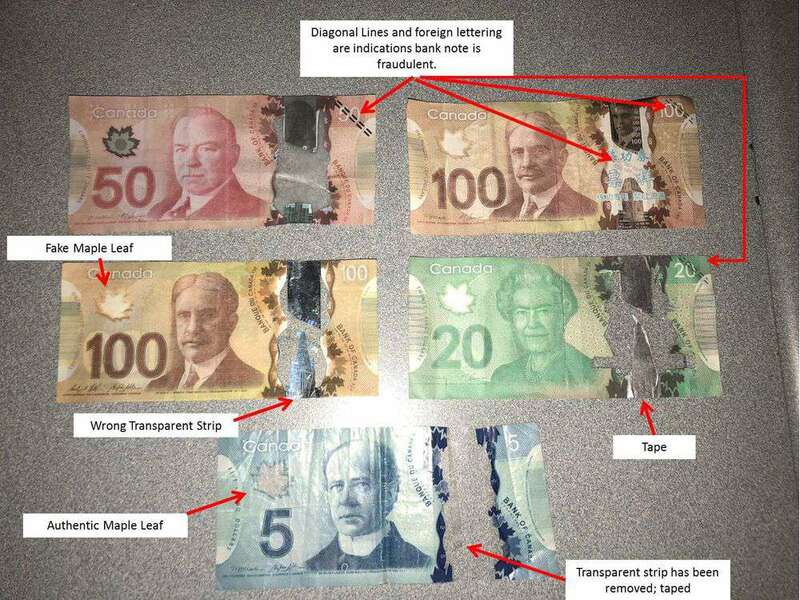 Police in Saskatoon, Saskatchewan has reported the confiscation of 72 bogus Canadian banknotes. Counterfeiters are using a combination of printed plastic sheets and physical cut-and-paste of lower denomination notes to mimic higher denomination notes. Within the same news feed, the Bank of England issued warnings and additional guidance after counterfeit notes were used for purchases at pubs in Lincolnshire. Many stories from the U.K. suggest that the people do not seem to like the new polymer notes, but this does not seem to help. The Reserve Bank of Australia (RBA), Australia’s central bank and the primary developer of the polymer substrate used around the world, has found that their currency is under attack by industrious forgers. One particular forger found a plastic substrate similar to the polymer developed by the RBA. The forger bought one high-quality commercial printer from the used market and rented two others to print Australian $50 notes. 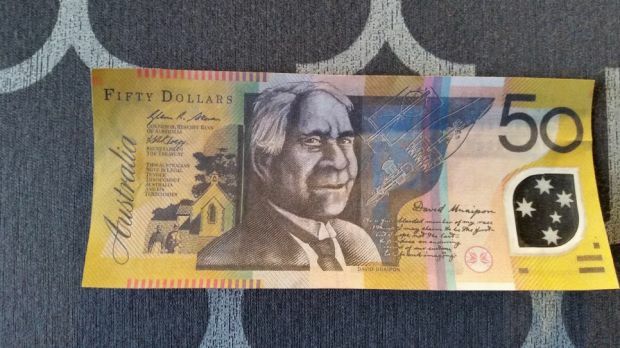 According to the reports, the $50 note was picked because it provides is common enough to be used in daily transactions (AU$50 is equivalent to US$39.06 as this is being written) and high enough of a denomination to be cost-effective for the forger. Remember, forgery may be a crime but it is a business. Although these issues have not directly affected the collectible currency market, it has had an effect on the dealers when their customers pay in cash. Even with the rise of electronic transactions, many European dealers continue to do over-the-counter sales using cash. In some countries, like Germany, cash is still king even when purchasing rare coins. While discussing these issues with a dealer based in Germany, it was reported that he will not accept large sums of cash from customers he has not done business with in the past. This dealer does not accept credit card payments over 200€ or for any bullion-based transactions. His regular customers can directly wire the funds to a special account the dealer set up. Others must use certified bank checks. The fraudsters hack your emails and insert their own email, cloned to look like an email from a trusted person, into your email stream. They then request a wire transfer — providing all needed wire instructions — for something that looks legitimate. Once a bank wire is sent, it is extremely difficult, if not impossible, to get the money back. If you need to send a wire, be sure to use “old” technology and confirm on the telephone with someone that you know! Even though I am no longer in the information security business, it is still my obligation to remind you that EMAIL IS NOT A SECURE FORM OF COMMUNICATION! Email is the electronic equivalent of a postcard. Any message you send, unless it is encrypted, can be read, scanned, snooped, and even altered by anyone, anywhere, at any time. I used to hear that line when I taught a senior-level college class on information security. Using a laptop connected to an overhead projector, I was able to show the class how easy it was not only to create spam but to make it look like an email was sent by someone else. I was also able to demonstrate how to read the email traffic on the local network with a few keystrokes. Are you using wireless connections? You just made stealing your information easier for the hacker. Counterfeiting and wire fraud are not just problems for dealers. When dealers are defrauded by these criminals, they have to recover the money in some way. Insurance does not cover all losses or the extra security that will be required to protect their transactions. Prices will have to go up to cover the losses and the future costs of doing business. The cost of doing business in this environment is not a trivial subject. While dealers of all types of collectibles want you business, fraudsters are making it difficult for dealers trust the off-the-street buyer. This makes counterfeiting and fraud a problem for everyone. Two suspects have been arrested for selling fake Suisse Pamp carded gold bars (2.5gm, 5gm,10gm and 1 ounce) at a coin shop in Greenwood, Indiana. Search of the suspects vehicle revealed multiple identification cards, business and pamphlets from different coin shops and an additional 250 fake gold bars and coins. Based upon receipts located in the vehicle the suspects had been selling the fake gold to shops in Illinois, Kentucky, Tennessee and Indiana since September, 2014. The suspects were driving a silver Ford Focus with Missouri license plates. The suspects are being held for Theft by Deception. Second suspect was identified as Nelson Hernandez (No photo available) alias Benjamin Wade. If you have information, please contact Doug Davis. Let’s keep the hobby for both collectors and investors safe! Over the last few months I have been receiving invites to join Numis Network. Numis Network is a multi-level marketing (MLM) program whose primary purpose seems to have people recruit a network of other interested people and have them join the network. There is a fee to join and a commission that is paid up the organization chart as new members join. Multi-level marketing goes under many names: network marketing, direct selling, referral marketing, and pyramid selling. Regardless of the name, it is a marketing scheme where the structure creates a marketing and sales force through the use of compensating promoters for selling products but creating additional distributors. The multiple levels creates a type of pyramid where those closer to the top of the pyramid makes the most money. Numis Network exhibits all of the characteristics of an MLM scheme. It emphasizes the network, growing the network, and receiving commission from the network. In truth this benefit is slight because the new members who are recruited by your ancestors are shared among all the available leaf nodes. For example, your immediate ancestor in the tree only puts half of his new recruits in your downline, on average. Likewise, his ancestor only puts one fourth of his recruits in your downline. Following this argument to the root of the tree, the total approaches just one person recruiting for your downline (1/2 + 1/4 + 1/8 + 1/16 + 1/32 + … + 1/2n, where n is your tree depth). This is often insignificant in comparison to the number of people required in your downline to make yourself profitable. If you calculate the amount of compensation per person diminishes as the number of downline people increases. In order to make money, you would need to recruit quite a few people and have them buy and/or sell coins in order for you to make a profit. The only people making money in a MLM scheme are those at the top of the overall pyramid—the root node. Not only are they making money on the your initial purchases, but they are collecting on the commissions from the new recruits, which they earn a share of every one of them since they are at the root of the scheme. Remember, they are also the ones selling the coins. Once you buy the coins to resell, they have made their profit and it is up to you to sell the coins at a higher profit in order to earn a large enough commission. Most of the people who have sent an email note asking me to join will probably never see a profit. I hope they can earn back their original investment. While it is legal to create a pyramid scheme whose compensation is based on a real sales commission, the truth of the matter is that the further you are away from the top of the pyramid, the less money you will make. And think about it, how many coins would you have to sell to make a profit and how many coins could be sold? How many coins will you have to sell in order to break even after spending $500 (for the Fast Track Collector’s Kit) or the $75 (Basic option) plus the $9.95 per month for the Numis Network ecommerce website? Think about how the premiums on bullion coins have lowered as the US Mint has raised the supply then ask yourself if there are enough interested customers out there to even sustain the effort. Since Numis Network is located in Tampa, Florida you may want to familiarize yourself with the well written advice from Florida Attorney General Bill McCollum. If there are any questions, you may want to contact Attorney General McCollum’s office for assistance. While Numis Network may technically be legal I question its ethics. It is something I would never be involved with. If someone were to ask me for advice I would suggest that you not involve yourself with this program. An accepted definition of a variety “is any variation in the normal design of a given coin, usually caused by errors in the preparation or maintenance of the coin dies.” They are also errors caused in the striking process. But these definitions do not account for the differences in the orientation. The problem is that after the planchets are struck into coins by the high speed coining machines, they are mechanically collected and fed into a machine that will press the lettering into the edge of the coins.